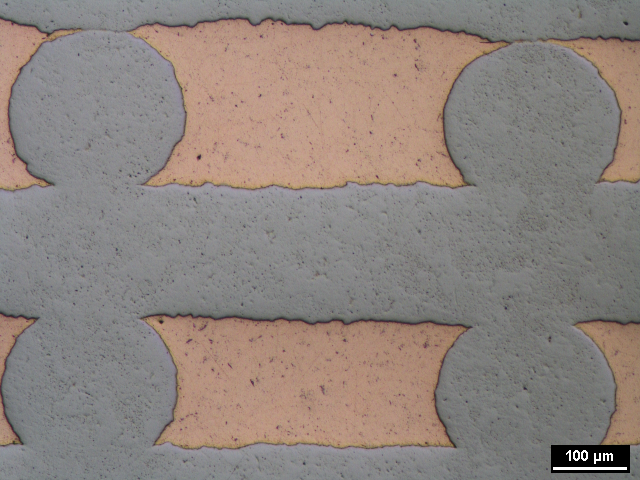 Tungsten micro-lattices, with 0/90º strut structures or more complex gyroid architectures, are produced by direct ink writing of a slurry of WO3-0.5% NiO submicron powders, followed by H2 reduction and Ni-activated sintering. The green bodies undergo isotropic linear shrinkage of ~50% during the thermal treatments resulting in microlattices, with overall ~50% open porosity, consisting 95-100% dense tungsten struts ~100 um in diameter. Ball-milling of the powders and inks reduces the sintering temperature needed to achieve full densification from 1400 to 1200 °C and enables the ink to be extruded through a 200 µm nozzle. Full sintering densification is achieved through the addition of 0.5 wt% NiO to the slurry, which was also beneficial for the following infiltration with liquid copper. Partially-sintered struts with submicron open porosity were also infiltrated with Cu, resulting in a co-continuous W/Cu composites with wide W struts/Cu channel at the lattice scale, and fine W/Cu interpenetrating skeletons at the strut scale. Figure 1. 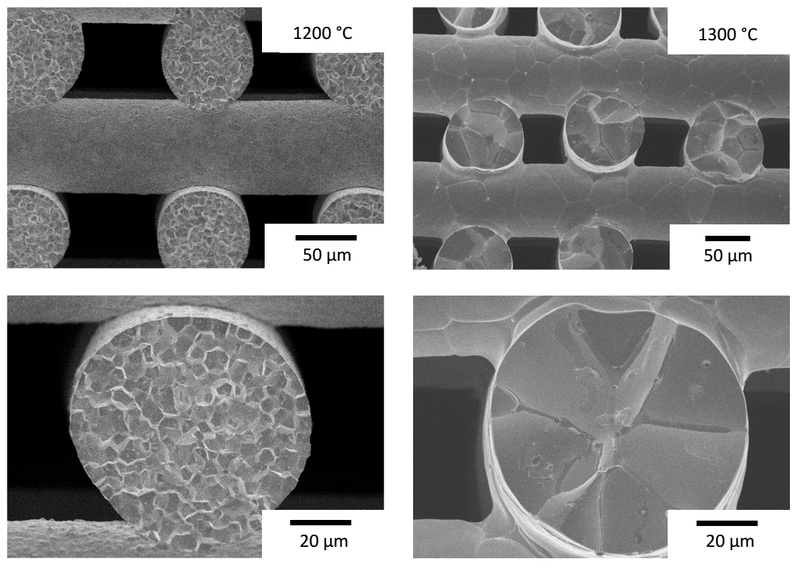 SEM images of sintered metallic W struts in 0/90º scaffolds produced via extrusion of ball-milled WO3-0.5% NiO inks, followed by reduction and sintering for 1 h at 1200 °C (left) and 1300 °C (right). Struts are fully densified and grain size is strongly reduced when lowering the sintering temperature from 1300 °C (20 - 50 μm) to 1200 °C (5 - 10 µm).